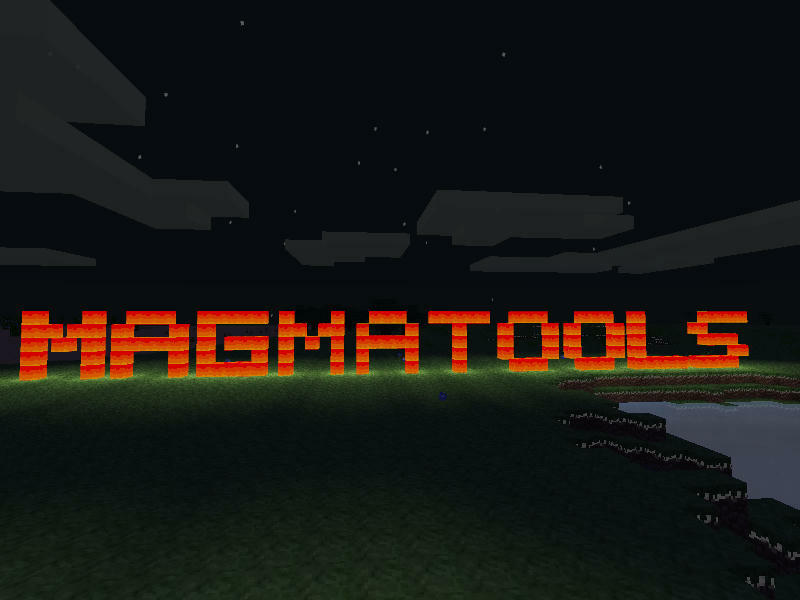 This mod adds 2 toolsets to Minetest: Magma and Ice. License: WTFPL for code, CC-BY-NC-SA for textures. NOTE: This mod requires a build later than 0.4.9-stable. Ice crystal ore and magma crystal ore can be found below a depth of -64. Mine them, and you will get an unrefined crystal. You'll need to refine it, so craft it with a bucket of lava and a mese crystal or a bucket of water and a diamond (for magma crystals and ice crystals respectively). These crystals can then be crafted into tools in the usual formations (use sticks for ice tools and torches for magma tools). The magma pick, axe, shovel and paxel will automatically smelt anything they dig (if applicable). The magma pickaxe will smelt ores as you dig them. The magma axe will "chop" default:lava_source into default:lava_flowing, and default:lava_flowing into air. The magma shovel will dig lava source nodes and place them into your inventory. These can be crafted with a bucket, but not placed on their own. It will also dig flowing lava. The magma sword will set fire to any block you hit it with. The ice pickaxe gives you stone when you mine default:lava_source. The ice axe gives you ice when you mine default:water_source. The ice shovel has the same function as the magma shovel, but with water instead of magma. The ice paxel does all three of the above functions. The ice sword freezes water into ice when used on it. The swords in this modpack do more damage than the default ones, with the ice sword at 9HP and the magma sword at 10HP. When using a hoe on the opposite liquid (i.e. magma hoe on water, ice hoe on lava), that liquid will turn into obsidian. 9 refined crystals in the craft grid will make a Magma Crystal or Ice Crystal block, which can be used as storage, as decoration and as a light source. Put a refined crystal in the "material" slot, put a pickaxe, axe and shovel in their corresponding slots (make sure they are all the same type), and click "Create Paxel"
If you have any feedback, suggestions or bugs, just tell us. Last edited by qwrwed on Mon Apr 28, 2014 06:48, edited 2 times in total. Hi Asg here. I hope you like the mod Qwrwed and I have been working on. Note: The ores must be mined with a Steel or better pickaxe. The ores emit a faint glow (light level 7) while the blocks emit a strong light source (light level MAX). The ores are quite rare but when found there are a lot of them scattered near each other. Last edited by Minearriatest on Wed Dec 25, 2013 16:57, edited 1 time in total. Nice ! I'm gonna try it. Both picks mine stone very quickly so the block is destroyed in one hit. No new smelting has been introduced in this modpack. And the ice is magic. Update: Lava shovel, pick and axe auto-smelt, shovel can be used to dig lava and axe can be used to remove it. Insider tip: Always use lava tools because they make the furnace useless. EDIT: Your version display does not really work like one because on the 1st of february, it will decrease. Last edited by Krock on Mon Jan 20, 2014 20:27, edited 1 time in total. Last edited by qwrwed on Tue Jan 21, 2014 15:31, edited 1 time in total. +Ice sword freezes water into ice when clicked. Last edited by Minearriatest on Thu Jan 30, 2014 20:46, edited 1 time in total. And the magma sword will set fire to any block you use it on. It only happens with the magma sword. I've tried it in a new world without any other mods on, and it still crashes. This mod requires a version later than 0.4.9 - try the lastest of these. Thanks, its all working now. Wow! I think I will put this on my server! The polar opposite magma and ice make a nice combo. If you are still working on this, you could add some kind of green acid or slime and make it dissolve certian blocks. trev wrote: Wow! I think I will put this on my server! The polar opposite magma and ice make a nice combo. If you are still working on this, you could add some kind of green acid or slime and make it dissolve certian blocks. I haven't made a minetest mod in ages, and I can't code at all, for the ice tools I 100% copied and pasted and changed a couple of things. I like this suggestion, maybe qwrwed could add it. 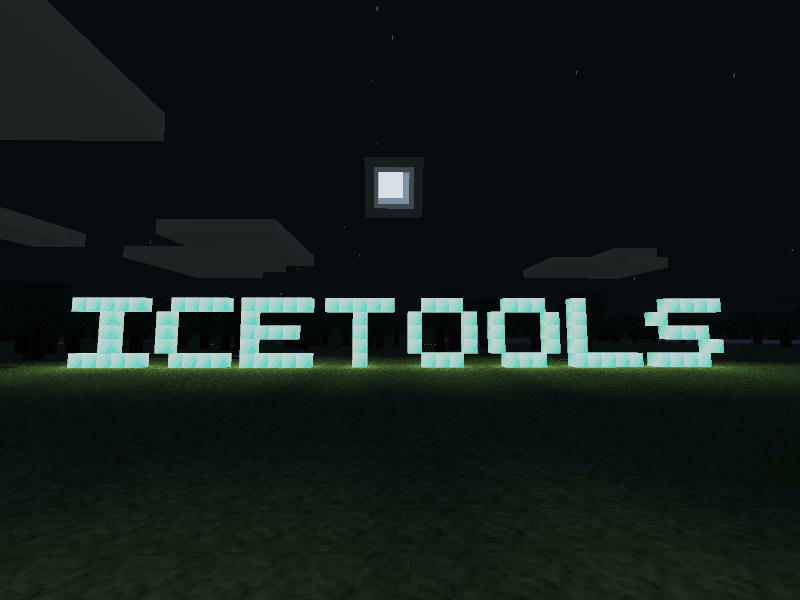 Also do be warned if you use this on a server, the tools are very fast and can easily be used to grief. Maybe add a set of tools that combines magma and ice together? Steam tools? 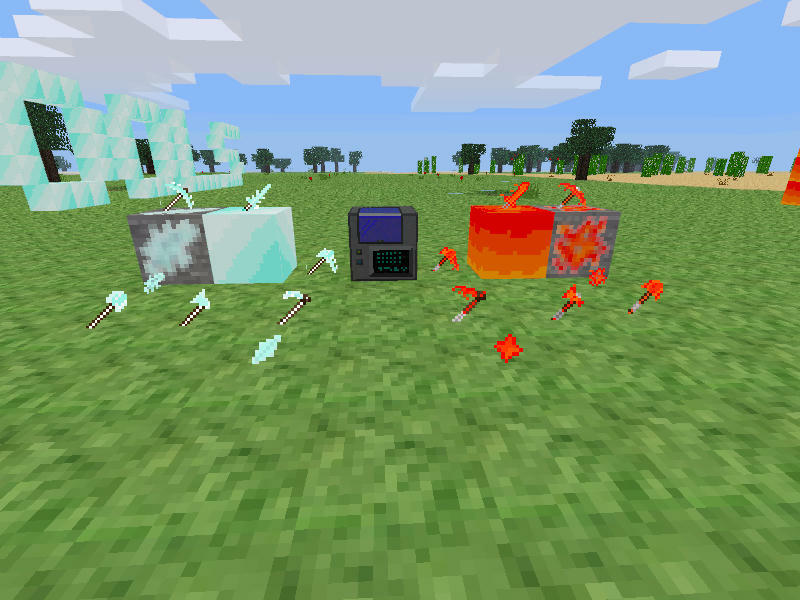 Chem871 wrote: Maybe add a set of tools that combines magma and ice together? Steam tools?